The Barbados Light & Power Foreday Morning Jam is slated for August 4. There has been one major change so far to the 2017 Barbados Light & Power Foreday Morning Jam - an earlier start for some bands. This was announced by event producer, David 'ZigE' Walcott, at a recent media launch for the event. He explained that bands starting at Queen’s Park and BTI carpark for the 2017 Foreday Morning Jam will move off at 11 p.m. The bands crossing the Charles Duncan O’Neal Bridge will give way to those coming from Queen's Park. The third starting point is at BIDC on Princess Alice Highway. It is all in an effort to have a more enjoyable time during the jump, said Walcott. (L-R) Foreday Morning Jam event producer, David Walcott, STAG Beer Brand Manager, Troy Clarke and BL&P Environment & Safety Coordinator, Nicole Thomas. He stressed that this will call for cooperation between the bands, but would also improve safety for revellers as it should deter bands from rushing along the route. 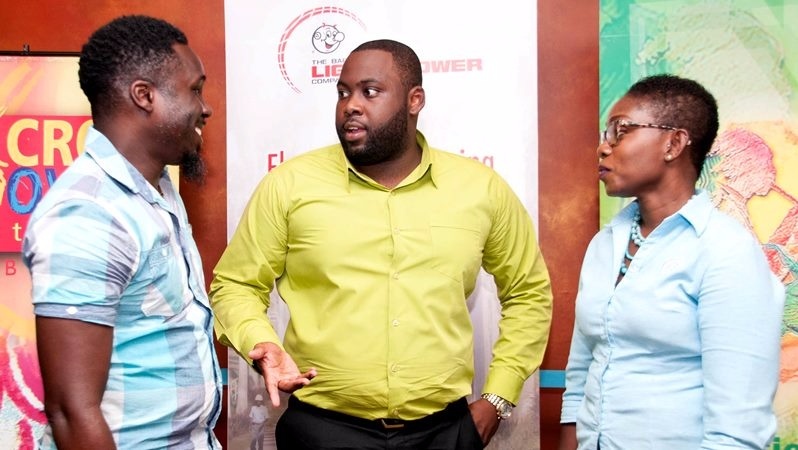 Safety is a major priority for title sponsor, the Barbados Light & Power (BL&P), which has come on board for the fifth year to ensure a well-lit route for the thousands of revellers expected to converge on Bridgetown on August 4 for the Foreday Morning Jam. BL&P’s Environment & Safety Coordinator, Nicole Thomas, underscored safety as being core to the company’s internal culture, where it is understood that good safety practices need to be part of every aspect of our lives. “We would like the entire Crop Over Festival to be injury-free and are happy to play our part by ensuring that there will be over 70 lighting towers along the route,” she said, adding that they will also ensure that all BL&P street lights along the route and at the starting points are in working order. In addition, LED lights have been installed at strategic points along the route. According to Walcott, the NCF has received good reviews about the lighting of the route. He noted the value of the partnership with BL&P, since the lights installed for Foreday Morning continue to be used after the event, providing long-term benefits to the City. So far, 47 bands have registered for the Barbados Light & Power Foreday Morning Jam, including a number of new community bands. The singer of the song with the most plays on along the route will receive $5,000 and the title of STAG Beer Jam Tune. Second place receives $2,500 and third $1,000.